When I was a child, my family and I would spend hours carefully drawing melted beeswax onto eggs and dyeing them, the rounds of successive colors growing darker and darker. Once an egg had been fully dyed and covered in wax, it was time to unveil the magical colors, the revelation of incredible, magical works of art. Pysanky, or Ukrainian Eggs, is an old tradition still in practice here in Western PA; it was brought over from Ukrainian peoples and others of Eastern European decent and spread throughout the area (it was later suppressed in the old world by the Communists, who claimed it was a “religious practice” for a number reasons, some of which we’ll explore in this post). I’m not sure how my family originally found our way into this practice, but every year, we would make our delicate and beautiful works of art and display them on a bowl in our living room. This year, my mother put a bowl of them out for Easter, and I wanted to get back into this lovely art form, this time with a bit of a magical twist! And so, today, we will dive into the art of crafting magical eggs using batik techniques! 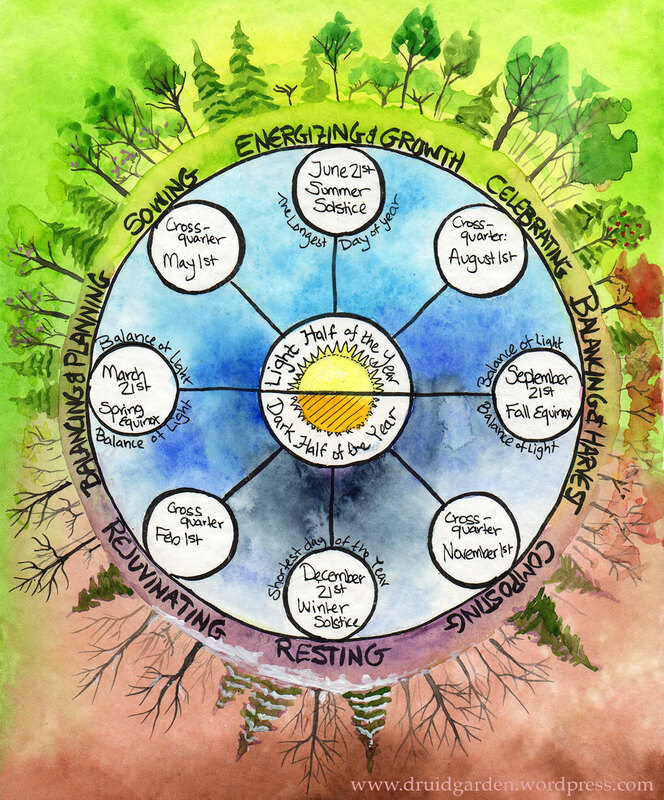 This is an absolutely perfect magical art form to practice at Beltane–hence the timing of this post. 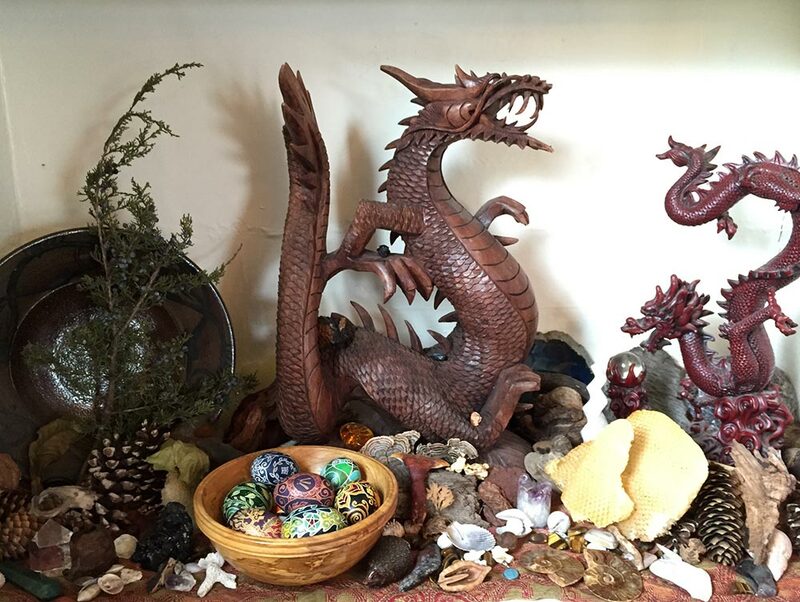 This Beltane-themed post has two parts–first, I wanted to explore some of the traditions and mythology surrounding these magical eggs. And in the second half of the post, I’ll show how to make your own psyanky eggs. Pysanky is a permanent art form where the artist uses a wax resist method to preserve colors during a dye process. The egg has all of its contents removed (yolk, white) and is washed out so that the shell is all that you are working on–this creates a permanent art form. Essentially, you add wax to the color you want to remain that color, and then dye the egg a darker color. Everything that isn’t covered by wax will take that new color. For example, if you want white, you start with a white egg and add wax to all areas you want to stay white, then dye the egg to your next lightest shade (usually yellow), then add beeswax to all the yellow areas. Then you dye it your next shade (green or orange) and add wax to all of the green/orange areas, and so on, until you end with some dark color, often black, dark blue, or purple. The beeswax is removed, and the brilliant colors are revealed. 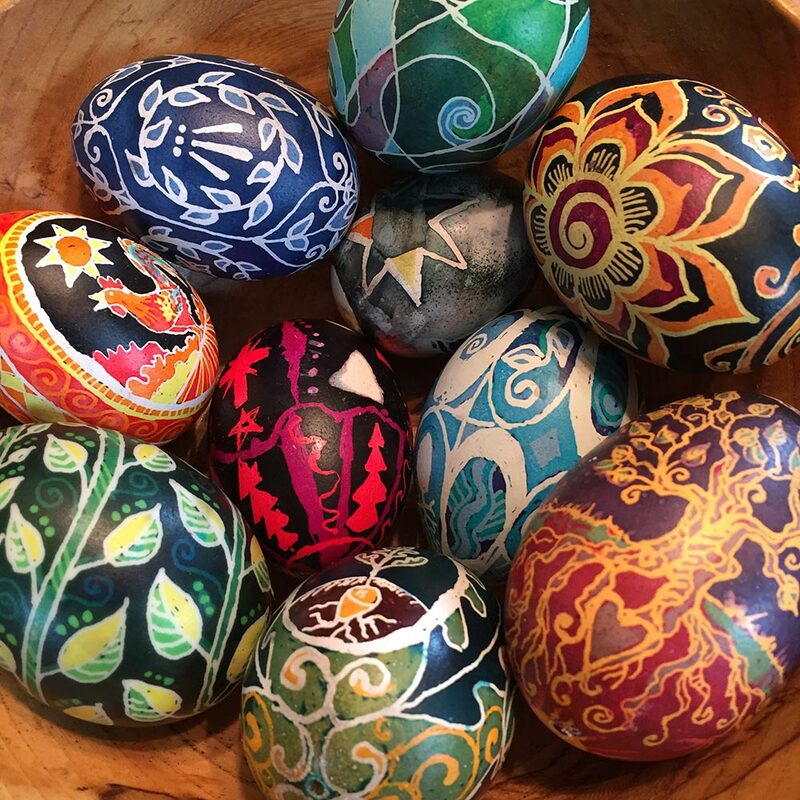 The choice of colors and symbolism adds various magical properties to the egg–this is not just me saying this, but this is part of the tradition. 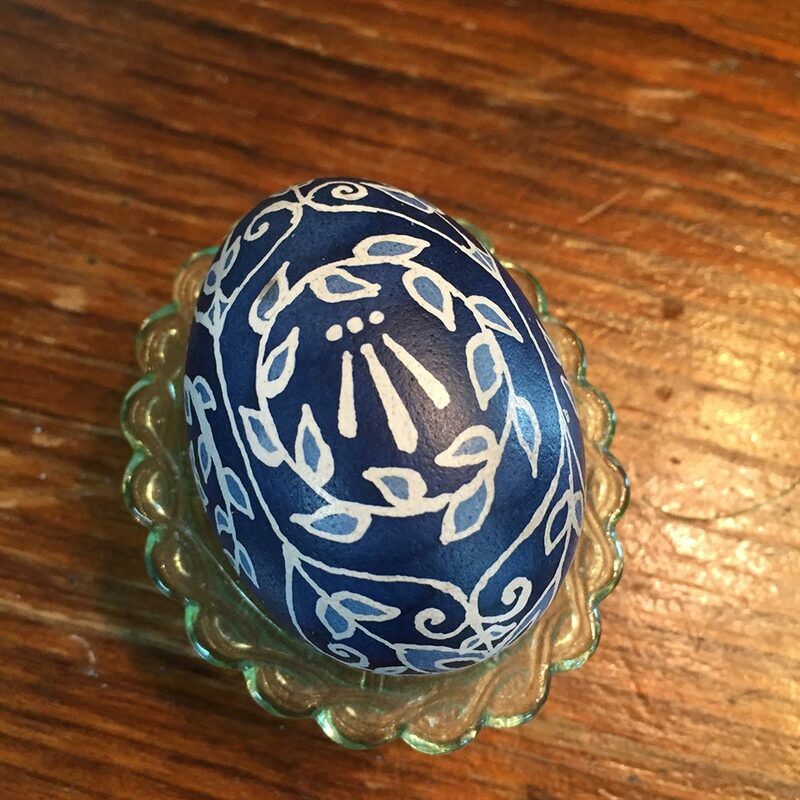 The egg is ready to display for a blessing of prosperity, health, or more! 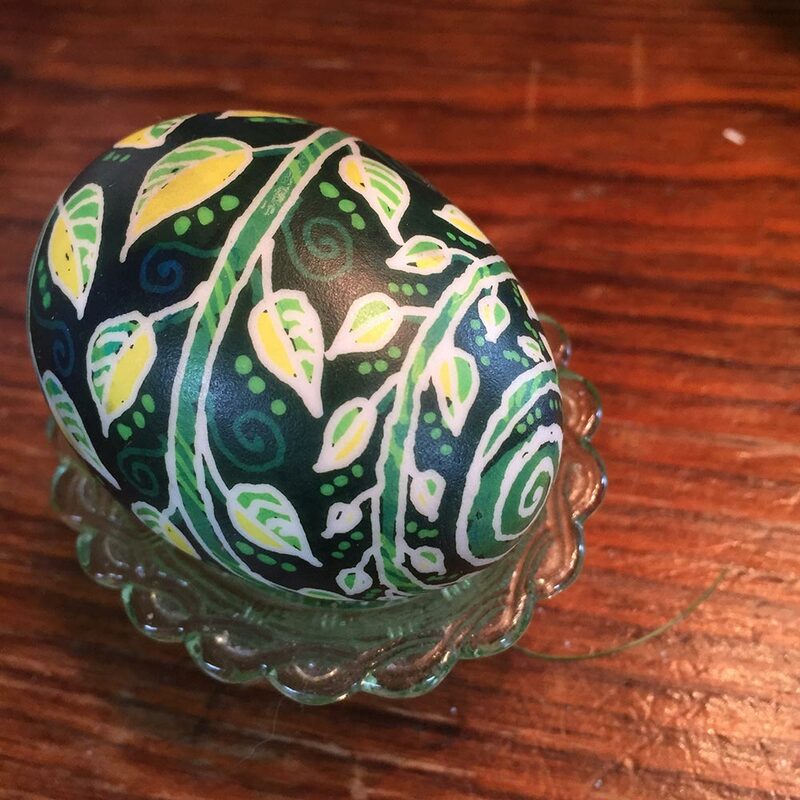 In Eastern Europe, and eventually the USA, the tradition of egg dying and egg marking is quite old. 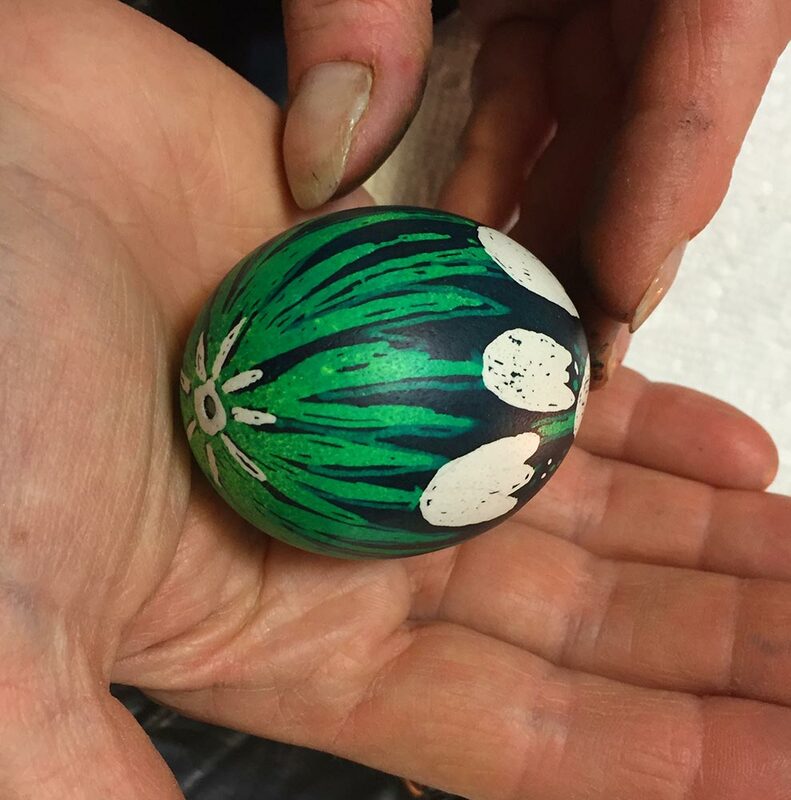 Its not just Ukrainian, but nearly all Eastern European peoples have traditions of drawing on eggs with beeswax and adding dyes. Scholars are pretty sure that this tradition dates back to pre-Christian times (so perhaps even the times the druids were hanging around in Gaul!) due to the nature-based symbolism and enormous amount of magic and folk legends surrounding the eggs. One of the oldest traditions on the magic of Pysanky is from the Hutsul people, who believed that a evil serpent is bound to a mountain cliff, with heavy iron chains. The monster has many envoys, who he sends to pay attention to people in villages–if he hears news that the people are ill, suffering, angry, or at war, he laughs and shakes the mountains, loosening his chains. If this were to go on long enough, he would be let loose upon the world with his chains falling away and cause evil and destruction. If his envoys tell him that people are happy and in high spirits, he grows angry and the chains grow tighter. If people are making psyanky, that they are still making them and carrying the tradition forward, he gets very angry and thrashes about, which makes his chains grow even tighter! His head beats against the cliff (thunder), his chains grow tighter, and sparks (lightening) begin to fly! So this folk method suggests that the pysanky literally keep the world safe (more legends can be found here). I’ll get into more detail on the symbols themselves used in the eggs later, when I talk about how to make the eggs. And so, what we see here is a lasting, magical tradition surrounding the creation of these eggs. So on the other side of Europe, we have the occurrence of the “Druid’s Egg” that is discussed in connection with the Ancient Druids. I am not, in any way, saying that these traditions are connected or the same thing. But I do want to consider some parallels. Of the Druid’s egg, Pliny writes in his Historia Naturalis of the ancient druids: “The magical practices of the druids, their knowledge of botany and the sciences. They wore a distinguishing badge, a “serpent’s egg” worn on the bosom and regarded as a potent talisman.” Other writings, also from Pliny, show that these “druid eggs” were created naturally, in a snake pit, and that the eggs were very magical, protective, and held in high esteem by the ancient druids who wore them as protective talismans. People used these eggs to win court cases and gain “favorable reputation” with princes. And people were even killed if they had them in their possession due to their potent magical effectiveness. Obviously, in modern Druid Revival orders, we don’t take the idea of the druid’s egg quite so literally (after all, even historians aren’t sure what the druid’s eggs actually were), although the idea of the “druid’s egg” certainly is woven into some of our lore and practices. I think this bit of history gives ways for new interpretations of the “druid’s egg” and how we can manifest it today, through the bardic arts. There are some parallels between the traditions that are interesting to note. If we study the artwork of many of these pysanky, there is an “entwining” feature that naturally occurs due to the nature of the egg. We can, in making these eggs, create entwining patterns that make a nod back to the original producers of druid eggs, serpents. Druid eggs were said to be highly magical and rare. And the same can be said of pysanky: not many people do pysanky today either. I’ll also note the importance of serpents in both sets traditions; in both they are dangerous, and the egg is somehow connected to them and their power. Finally, the magical powers of eggs in both traditions, especially for protection, blessing and power. 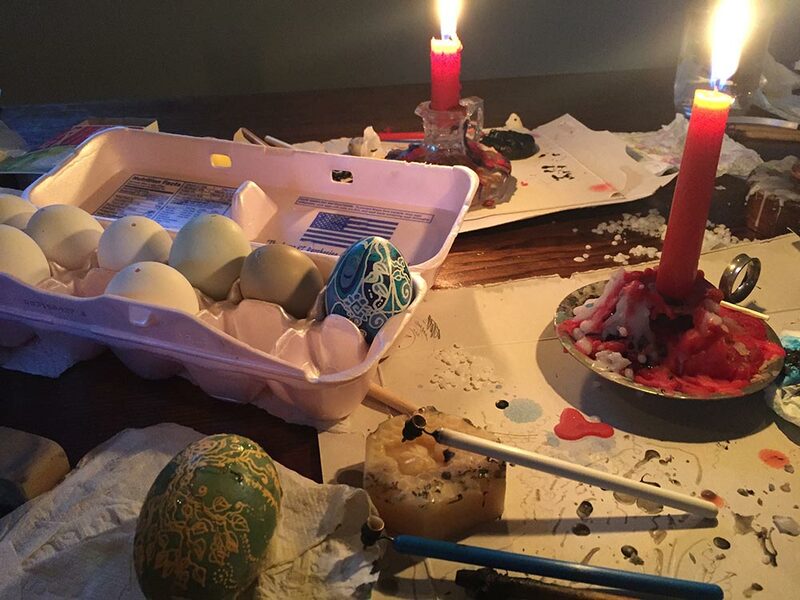 Given some of these parallels, I’d like to propose that one modern “druid egg” can be the pysanky, and its something we can embrace and practice as a magical art form. So let’s get onto the best part: how to make these delightful eggs! One of my favorite new eggs! Commercial, very bold and beautiful dyes for psyanky are readily available. I’ve found that these dyes can be put in a wide mouth pint canning jar with a lid and used effectively for 2-3 weeks (after that they lose their dye capacity, and even reboiling them doesn’t allow for them to stick. I’m still trying to figure that out). A good source for dyes is at this Etsy Shop (Ukrainian Egg Supplies). Of course, the problem is that not all of these dyes show up at the same time of the year. I have had good luck in making the dye and then freezing it till the right time. I’ve also experimented with drying the berries and trying to make dye later, but that has been less successful. 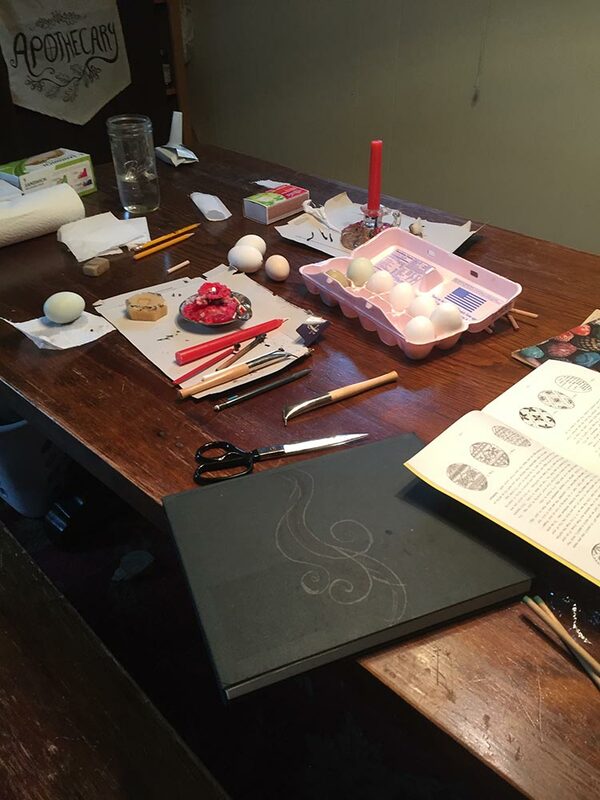 Kitska: You will need some tools to draw designs on your eggs. These tools are called Kistka (kistky; plural), for your eggs. You can get them at the supplier listed above or readily online. They are very simple tools–I like the ones with the little reservoir and the plastic handles. You can also make your own. Wax: You will need some beeswax in either little granules or a block. Candles: You will need 1 candle per person to melt the wax. Workspace Protection: You will want to lay down a plastic bag or newspaper around your workspace, especially the area you are dyeing the eggs. The dyes can really stain a countertop! You may also want to have some paper down around the areas where you are adding the wax. Egg blower: You will want to invest in this little $12 tool–its an egg blower, and it allows you to easily blow eggs out prior to starting your dyeing. When I was a kid, we used to blow them out by creating two holes, one at each end, and just blowing and blowing till all the insides came out. For one, its a lot of work. But for two, its now dangerous to do so due to the high level of salmonella in eggs today. 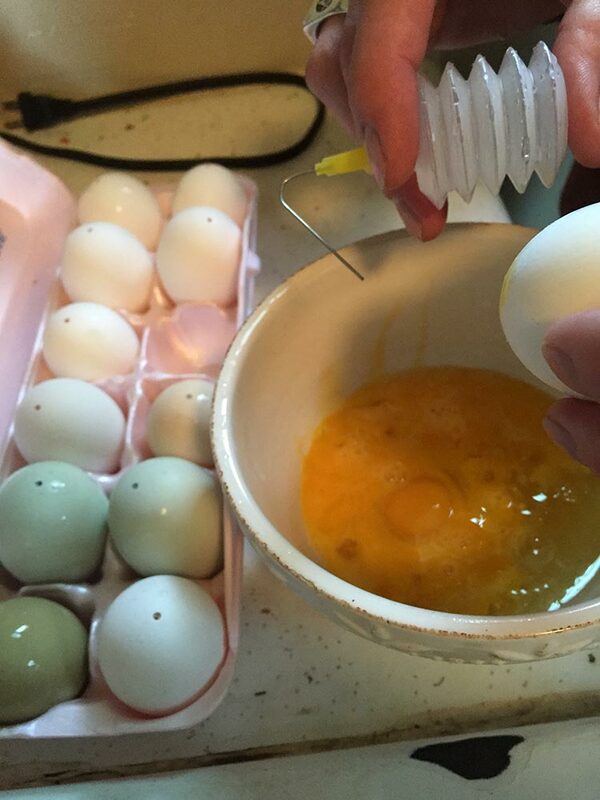 The egg blower is amazing–you can blow out about a dozen eggs in 45 min or less! Here’s where you can get a nice egg blower. Eggs need to be whole (not cracked at all). They need to have minimal bumps, and instead be smooth. They need to have a pleasing shape (symmetrical) and of a shape you like. You can start with white eggs or, if you prefer, you can start with a light brown, cream, or even blue chicken egg as the base color for your design. I have found that getting an assortment of nice eggs at a local farm gives me a wide variety to work with. The shells of these eggs are also usually thicker and better than those factory farmed eggs in the store. You can also use duck eggs–but beware that some duck eggs have a film that you may want to scrub off. I am really enjoying working with duck eggs! So now I’m going to walk you through the full process of making your own beautiful pysanky! As I said before, this is a great activity do do around Beltane. 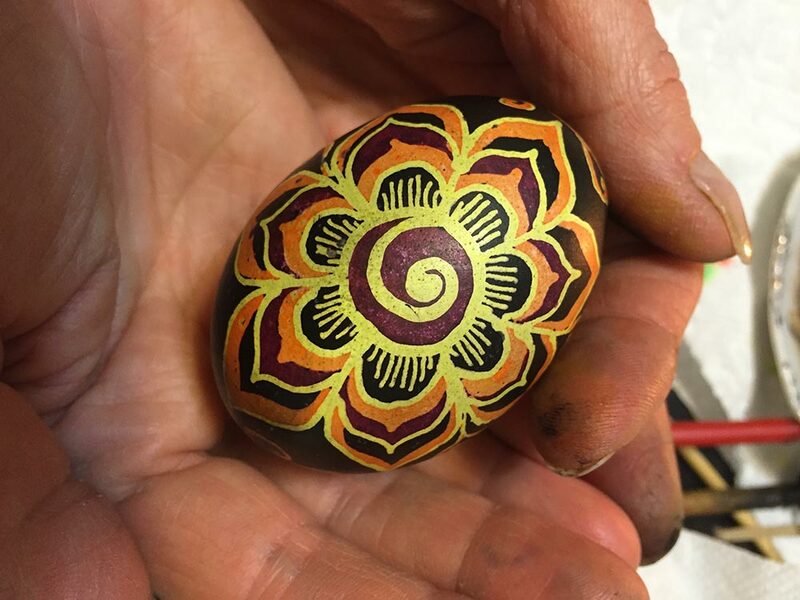 I’ve taken to starting my Pysanky making at the Spring Equinox and wrapping it up around Beltane, so I have a full 8 weeks making these amazing eggs. And without further delay, here’s how you make the eggs! And here’s a setup for drawing the wax on the eggs. The egg carton holds extra eggs, there are books for reference and a sketchbook for drawing out potential designs. We have a roll of paper towels to keep fingerprints off of the eggs. And of course, we have our candles and tools. We have found that adding a little cardboard box below the candle catches drips and keeps them off the table. A nice example of an egg. This one is setup to drill (see step 3). 3. Blow out your eggs. We use a Dremel drill to drill a small hole on the bottom of the egg. 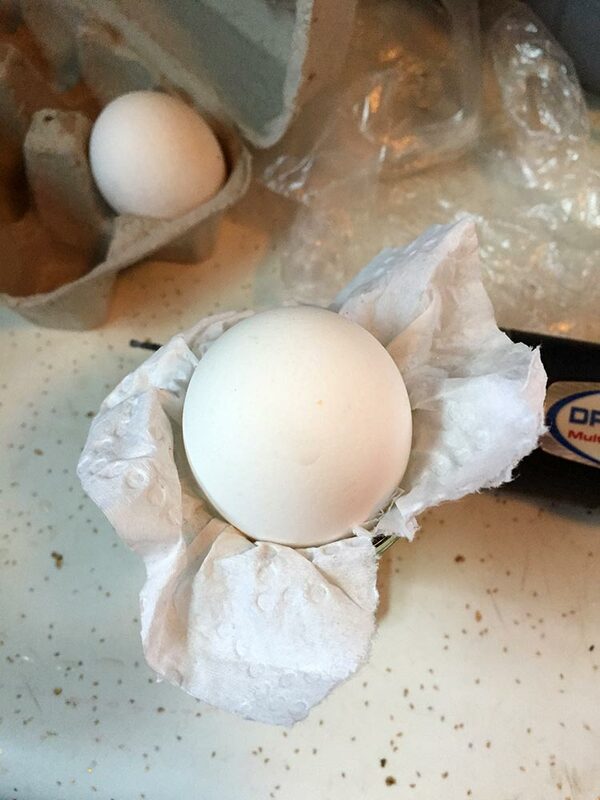 I will sit the egg in a small cup, place a paper towel between the cup and the egg, and then drill the egg carefully. 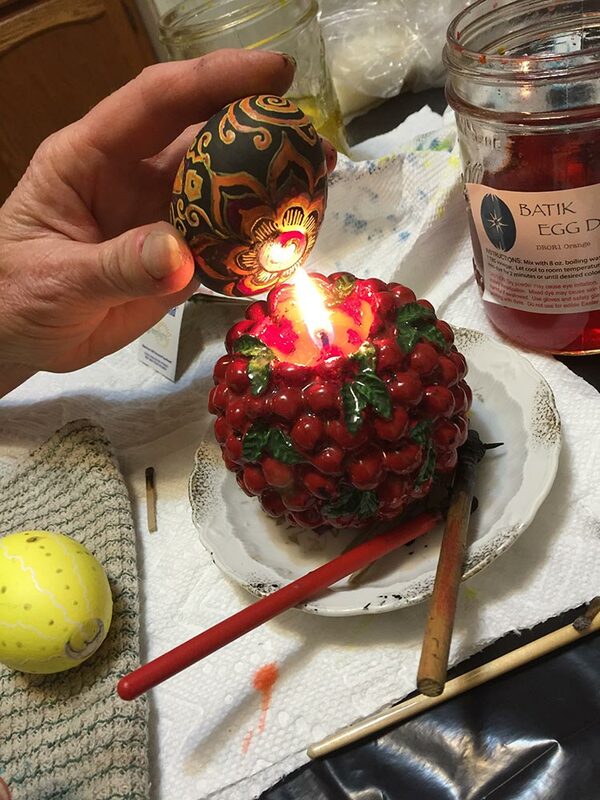 I usually drill about a dozen eggs at a time if several people are making pysanky. The second step is to use the egg blower to blow out the inside of your eggs (I blow them into a bowl, so that you can make a nice quiche later in the day!) The third step is to add some water to rinse out the inside of the egg. and make sure the last of the egg is out (I don’t add this to my egg bowl). Finally, you can let it dry out by placing it hole down in an egg carton or placing a little bit of paper towel up in the hole for 10 or so min. 3. Decide on a pattern or design. This is my favorite part of the process–its here where you decide what your design will look like. I like to use a pencil and very lightly draw my design (or design lines/guides) on the egg (the pencil will come off later in the process). 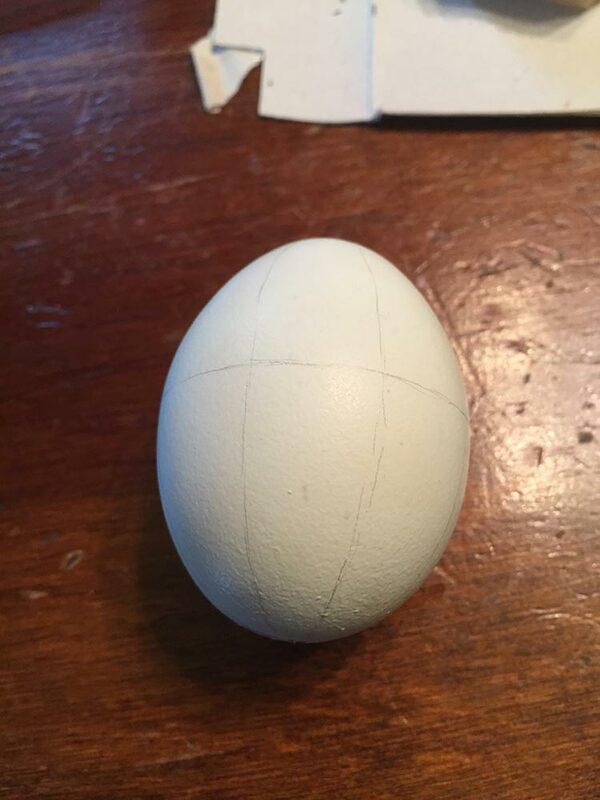 You can also use a string to wrap around the egg so that you get straight lines. At this stage, you also need to get in your head how the dye process works and do some planning for the different colors you might use. One of the biggest beginner mistakes is not to have enough contrast between colors–remember that its contrast that makes the different colors stand out. If you end up with three light colors next to each other, the egg won’t be as beautiful. But if you use light and dark colors next to each other, it makes the designs stand out more. You also want to do your first few eggs simply. 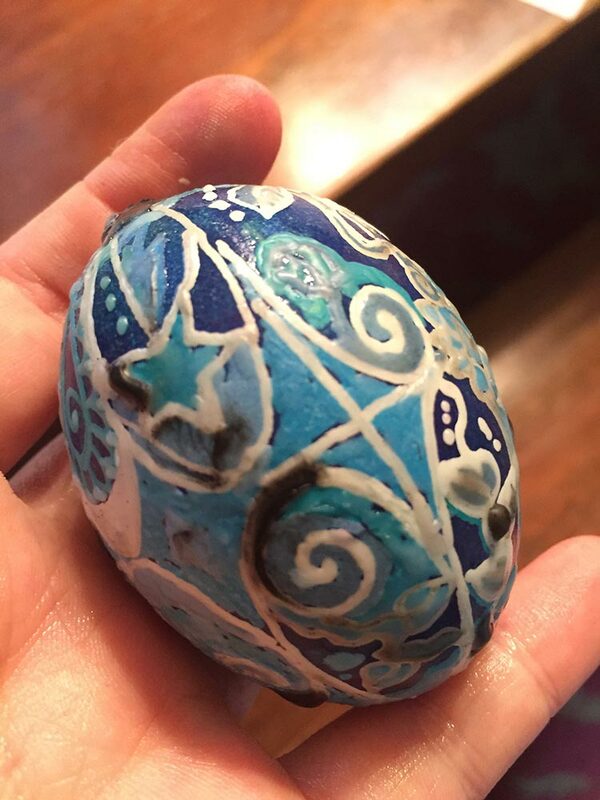 Maybe do a white pattern, a light blue pattern, and then dye it dark blue and that’s your first egg. That will allow you to see how it works without getting too complicated for your first egg. 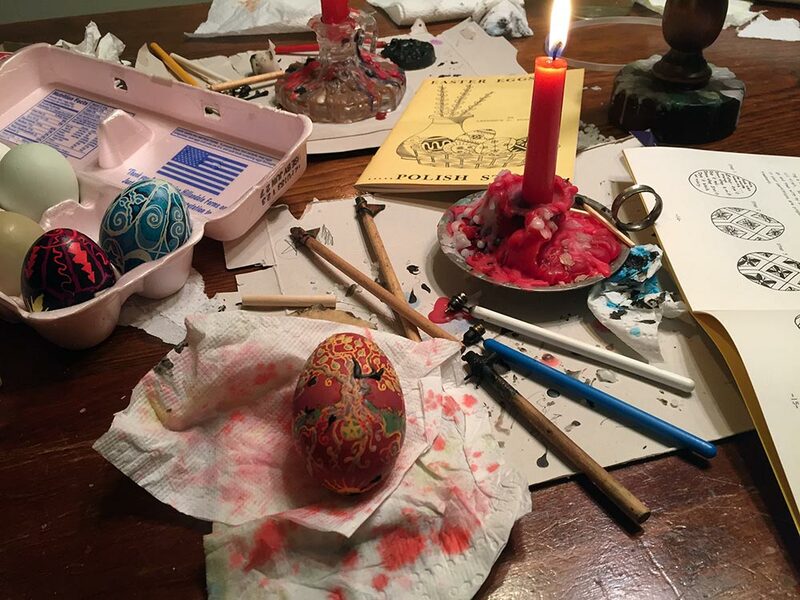 In Ukranian Easter Eggs Gruber writes, “Every mark that is placed on an egg has a meaning. People with expertise in Pysanky can distinguish between eggs decorated in different sections of Ukraine and even between villages. In the villages, certain families have come to be known for their distinct patterns” (3). I find the symbolism here, pulled from old books, utterly fascinating. Some of this same symbolism shows up, unsurprisingly, in the old esoteric lore! You can also use any other symbolism from within other spiritual or magical practices (such as some of the symbols I included here in an earlier post). Ok, so at this point, you have your dyes made, your eggs drilled and blown, and a good design in your mind (and maybe drawn on your egg) complete with magical symbolism. Now comes the fun part! 4. Add your first wax layer. Your first wax layer will be of your LIGHTEST color–that is typically white, but it might also be a very lightly dyed first color. You add the wax by heating up your tool, then scraping or dropping some wax into the tool, and wiping off the excess before drawing the tool across the egg. 5. Add your first dye layer. 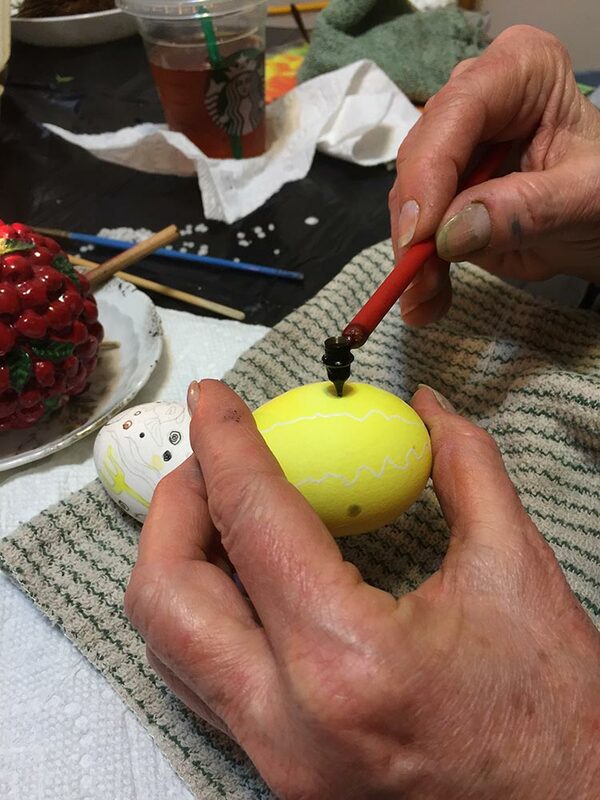 Before adding your egg to the dye, you will need to seal up the drill hole with wax before you put it in the dye bath. A little gob of wax does the trick here. So, you can now dye your egg with the lightest color that you want to use in your design. Typically, this is yellow. The longer you leave your egg in the dye, the darker the dye will become on the egg. Since your egg is hollow, you will need to weigh it down the egg so that it is fully dyed. We found that a 1/2 pint jar works perfectly for this! I forgot to photograph this, unfortunately (so no photo here). But basically you can use an empty 1/2 pint canning jar; it fit in a 1 pint widemouth jar that you are using for dye, and it will weigh the egg down. Wait a few minutes, and pull your egg out often to check on the dye and see how you like the color. Then when you are happy with the intensity of the color, pull it out of the dye and let it sit till it is dry again. Its for this reason that we usually work on 2-3 eggs at a time–some are dyeing, some are drying, and one we are actively working on! If you want a REALLY deep color, you can even put your egg in for several hours (or overnight) and you will get very intense colors. And so on. Each layer gets darker, and its hard to go between complimentary colors on the color wheel (e.g. green to red makes a brown; yellow to purple makes a brown; blue to orange makes a brown). 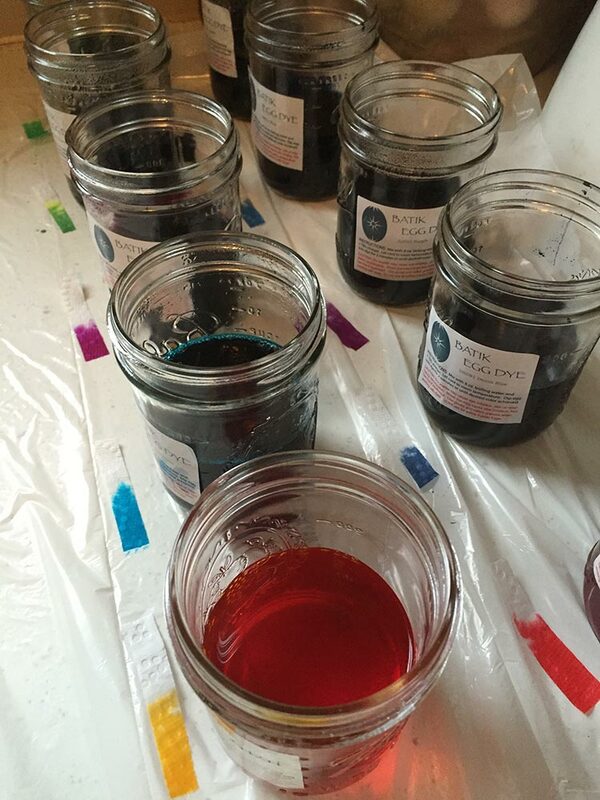 As you work with the dyes, you can also experiment with different color combinations. 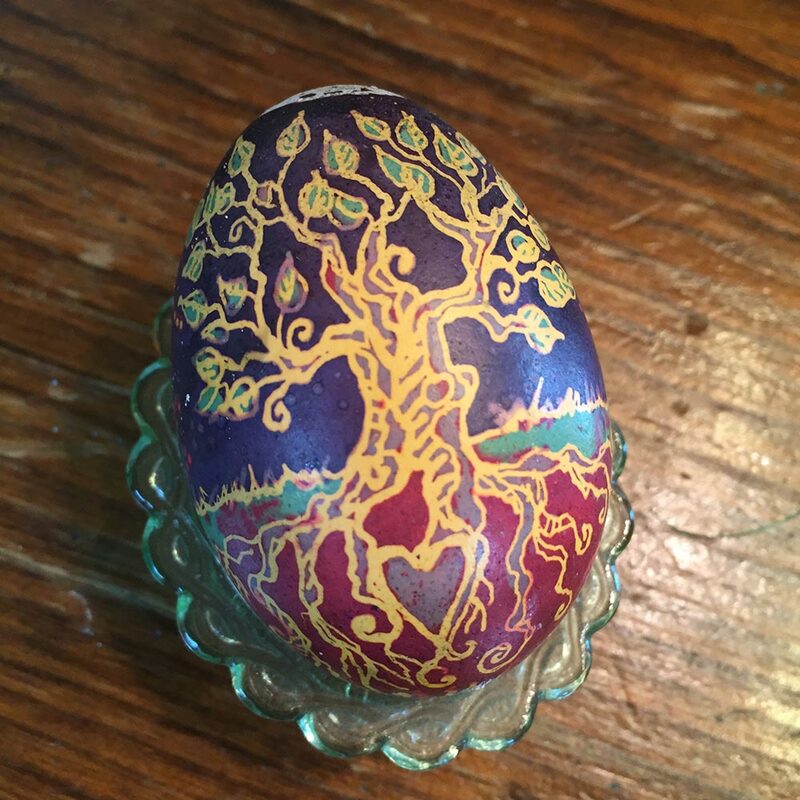 Here is an example of the successive layers of dyes that I used for my tree egg. Third layer of dye and wax (egg is in the front left); its now a light green, which is going to be all of the leaves on my tree. Fourth layer of dye and wax. I’ve taken it to red, which interacted with the green and gave me a nice dark red. This is going to be the ground areas and trunk. 7. Allow the egg to fully dry after the last layer of dye. I would recommend at least an hour total for the drying time before you proceed with removing your wax (although it is hard to wait!). You melt the wax off by holding the egg carefully to the candle for brief amounts of time and wiping the wax off with a clean tissue or paper towel (a tissue works better). 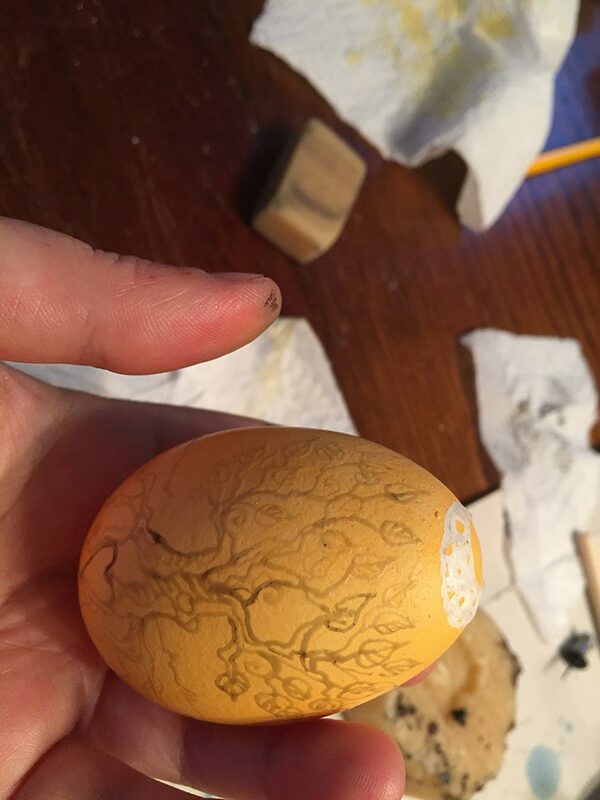 Here’s my completed tree egg! I hope that you’ve found this post to be an inspiration to you on your path deeper into the bardic arts! I have found making of these eggs to be a wonderful, relaxing pastime. They are unique gifts, full of magic and beauty! Not to mention, they look great on your altar :). Today marks the Spring Equinox, Alban Eiler, a time of new beginnings, of the balance between light and darkness, between summer and winter, between hope and despair. 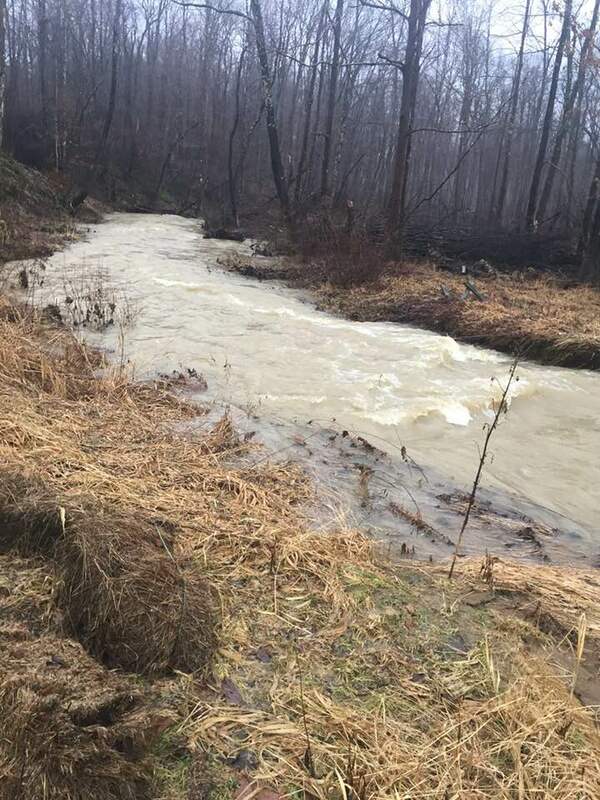 Given the energy of today, and the challenges before us, I’d like to take some time to frame what I see as some of druidry’s gifts to the world–the things that a druid path can do for the land and its peoples. I’m particularly motivated to write this post today because today marks the end of my 10th year as a druid and I am moving into my second decade along this path–and so I’d like to share some of the insights I’ve had along the way. I want to start with a disclaimer–as the adage goes, if you ask 5 different druids what druidry means to them, you’ll get 10 different answers. I am not speaking on behalf of all druids or for all of druidry, but here today, I am speaking my own truth and path, as I am apt to do on this blog :). Look around at the land and waters that–in whatever shape that landscape is in. At one time, that land was deeply loved and respected. 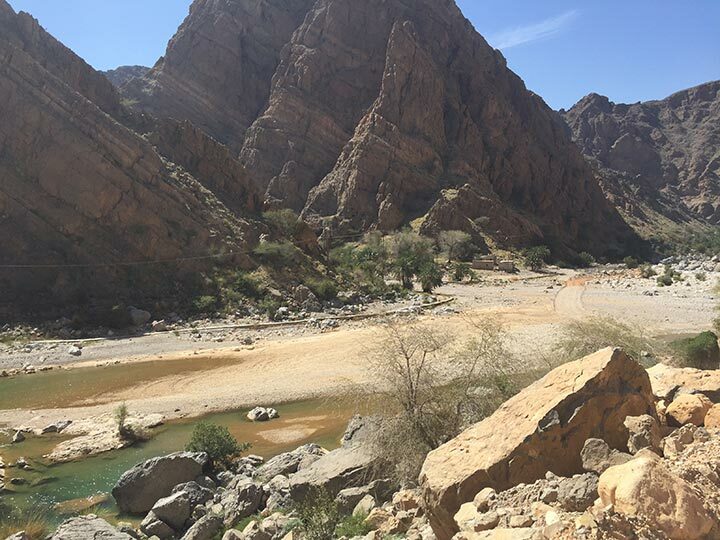 Humans who lived there cultivated a sacred connection and awareness with it. All indigenous cultures have cultivated such relationships, and all of our bloodlines trace back to some indigenous culture or another if we go far enough back. Before industrialization, or even agriculture, our relationship with the land was much, much different. Our ancestors, rooted in the places they were, knew every inch of the edge of the river and how to build rafts to navigate the rocks and fish. They knew the medicine of root and stem and seed. They knew where the harvests came at what time of the year, and how not to take too much. 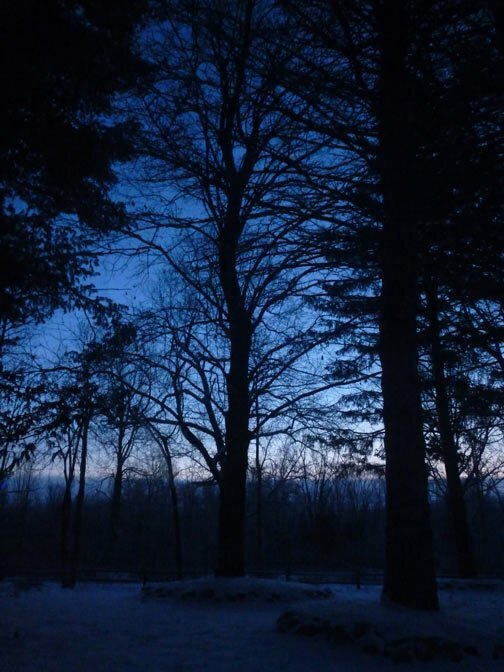 They knew the names of the trees, the spirits of the animals, and were intimately connected with their surroundings. They knew that their own survival depended on the delicate balance that they had the privileged and responsibility of maintaining. The plants evolved with humans, so much so, that many of the most food and medicine-rich plants depend on us for survival, for nurturing, for scattering their seeds. How did that happen? Over countless millennia, we evolved together, creating mutual dependencies. 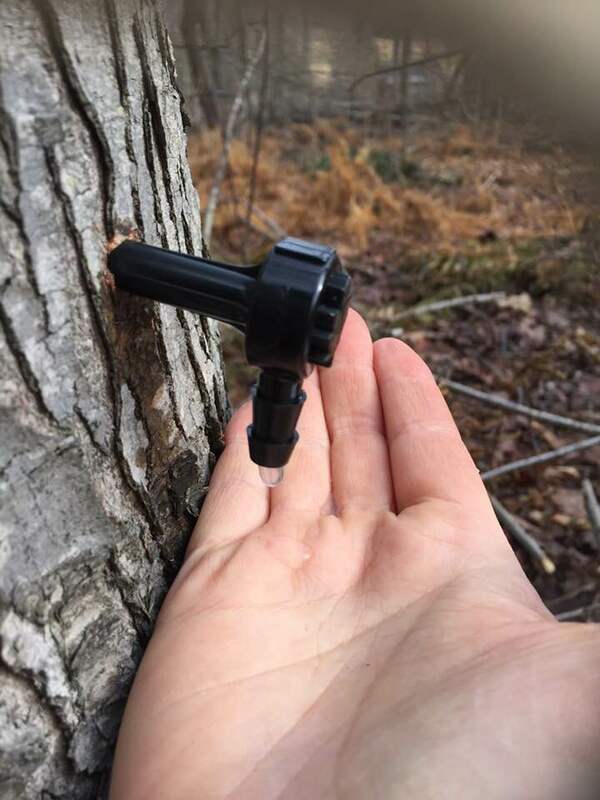 This is why Pennsylvania forests used to be 30% chestnut–that wasn’t by accident, that was by human design (for more on this, see M. Kat Anderson’s Tending the Wild). Imagine being the land, the spirits of the land, and holding those memories of the time before. And then, many things changed and time moved on. Knowledge and sacred connections lost, so much so that today, most people can’t identify more than a handful of plants or trees and do not even have basic knowledge of the world around them. Instead, humans today in industrialized countries are sold a myth, the myth of progress ,strong as any other of religious belief, and embraced with the same kind of furor (see John Michael Greer’s works, particularly Not the Future we Ordered for more on this perspective). Wrapped up the myth of progress are myths of the importance of consumer goods, of smartphones and electronics that must be replaced every two years, of chemical-ridden pesticides that lace our foods and invade our bodies. Supporting that myth allows the whole-sale pillaging of the land and its inhabitants. 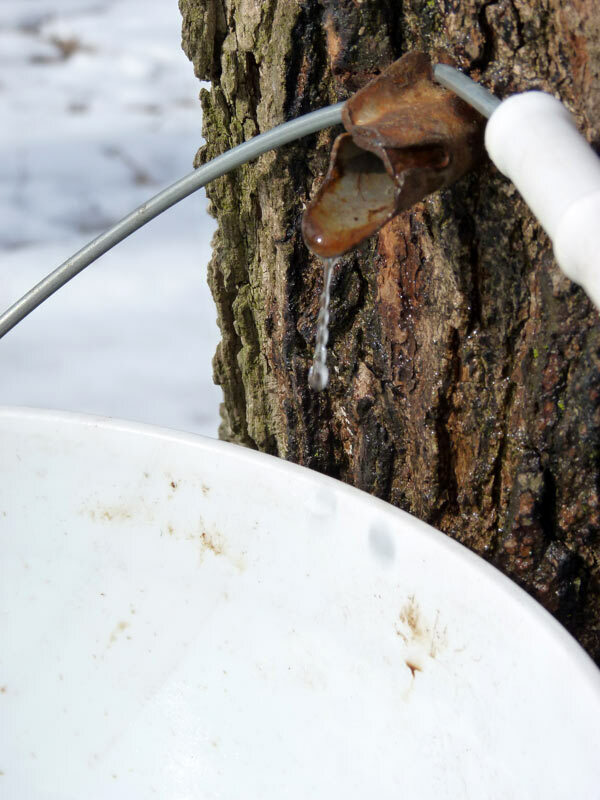 Supporting that myth allows national forests to be fracked, the same patches of forest to be repeatedly logged for two centuries, our waterways to be filled with poisons, our mountaintops removed. 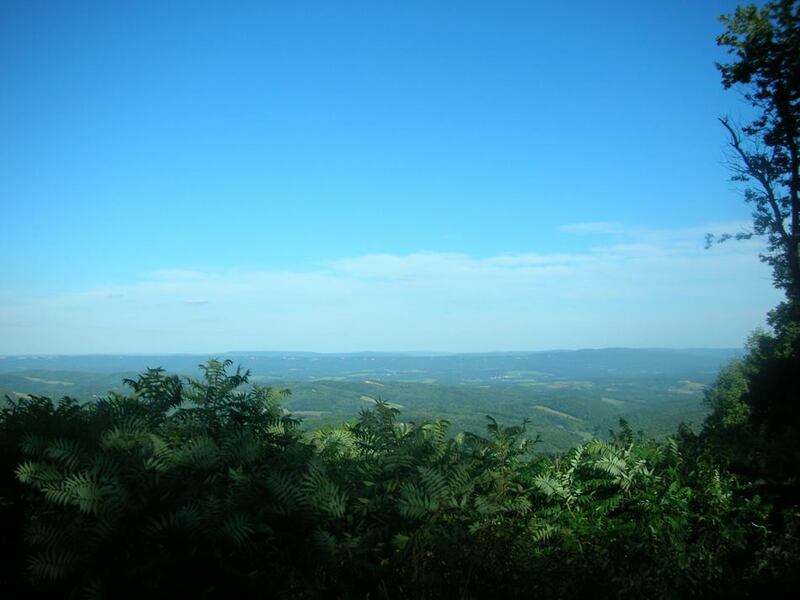 These are things that I witness every day here, in my beloved Appalachian mountains in Western PA. If relationships to the land were a pendulum, we humans of toady have swung so far in the other direction from our indigenous ancestors, or even those living closer to the land a few centuries before. Our lands, waters, and plant spirits still hold the memories of those who came before, of the relationships that once were cultivated. There is, among them, a great mourning and loss collectively. They hold memories of humans who used to care for them so carefully. Here in the Americas, at least here in Pennsylvania, that sacred relationship between land and human was abruptly severed several centuries ago with the driving out of the native peoples and the re-settlement of Pennsylvania by those of European decent. With the new humans, the last centuries saw tremendous amounts of pillaging and destruction, fueled by the myth of progress. Since that time, and to today, the myth of progress changes our behaviors and relationship radically with nature. Humans, here in the US, now spend 87% of their time indoors and another 6% of their time in automobiles or other forms of enclosed transit. That means just seven percent of the average American’s life today is spent outside. And of that seven percent, how much is spent mowing the grass? Spraying dandelions? Walking on pavement among tall buildings? How much of that seven percent is spent with our heads in our phones rather than looking around us? And beyond these statistics, I think there’s a general disregard for life, for nature that is dominant in our collective cultural understanding. 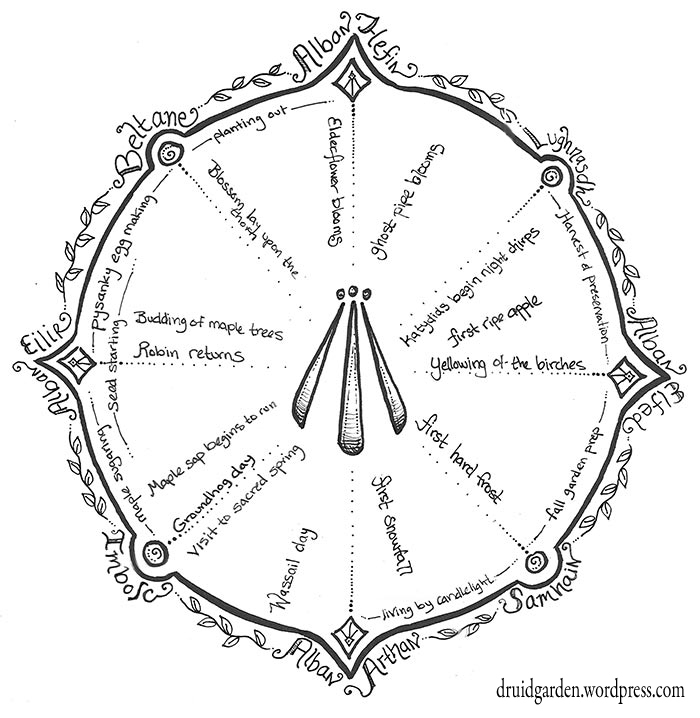 Druidry, I believe, is one good sign that the pendulum is starting to swing back in the right direction. 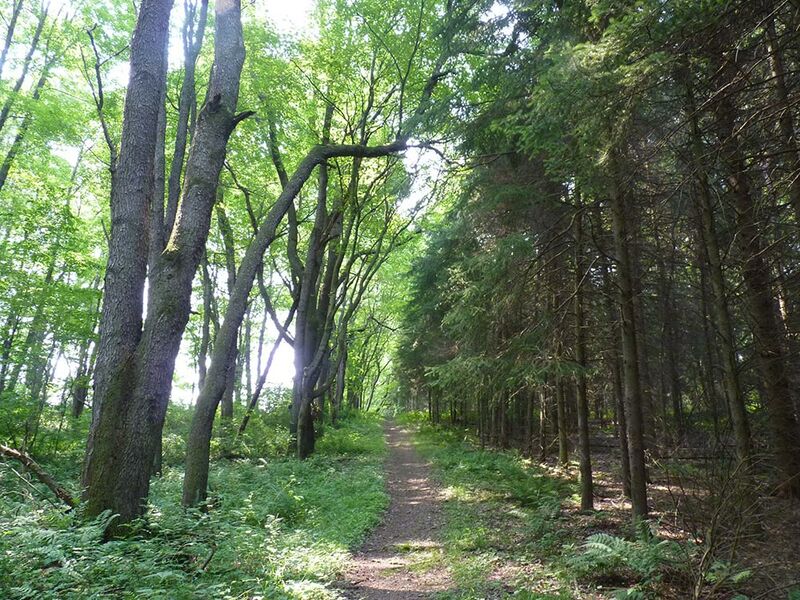 Humans are once again are seeking that ancestral connection to the land that is still in our blood, and in the memories of the forests, the stones, the rivers. Learning how to see, and interact, with nature is critical to helping that pendulum swing back in the other example. As a very simple example, last week, I was walking back from campus after teaching, and I came across a cluster of cut-back bramble bushes. I looked at those canes, getting just ready to bud, with tiny tufts of green coming from out of the buds, and I could see the promise of spring there. I was looking forward to the Equinox, and also feeling the sadness at seeing things budding a month earlier than usual due to climate change. 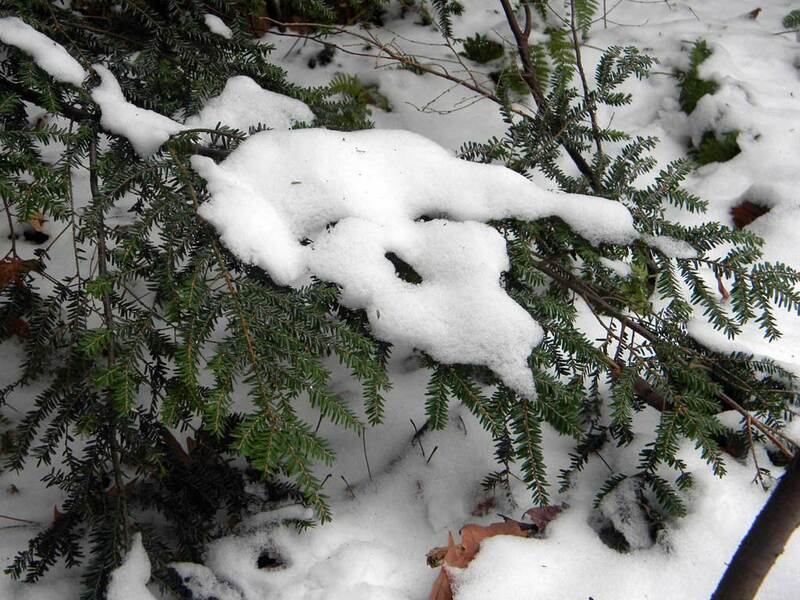 The tips of the canes, too, held a tremendous surprise–when sliced longways (which someone had done recently to trim them), the cane of the blackberry bush forms a 5 pointed star, a pentagram, not so dissimilar from the pentagram I found in the chickweed plant some years ago. This cultivation of the sacred is, in part, observing sacred patterns of nature, unfolding around me, on my daily walk home from campus. 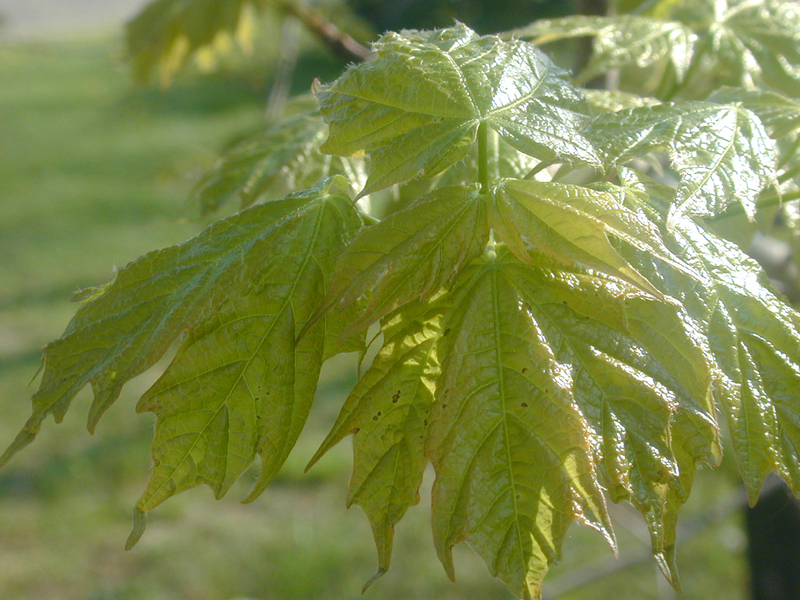 And noticing the nature–the birds, the trees, appriciating them and knowing their names. And its more than patterns–the bramble holds medicine, food, protection–and as a druid, I’ve worked to learn about all of its gifts. As I look in awe at the bramble, I wonder how many people have cultivated such a sacred relationship with the land in this area? That even would look at the bramble and be willing to look closer? As a Druid, you might be the first adult person in several generations to see that land with something other than indifference, profit, or going into the land for the sole purpose of taking. As a druid, you might be the first to enter those lands again, in a long time, to see those lands not only in appreciation, but as sacred spaces. You might be the first who is willing to tend those lands again, to help heal, to help regenerate, to give rather than pillage and take. 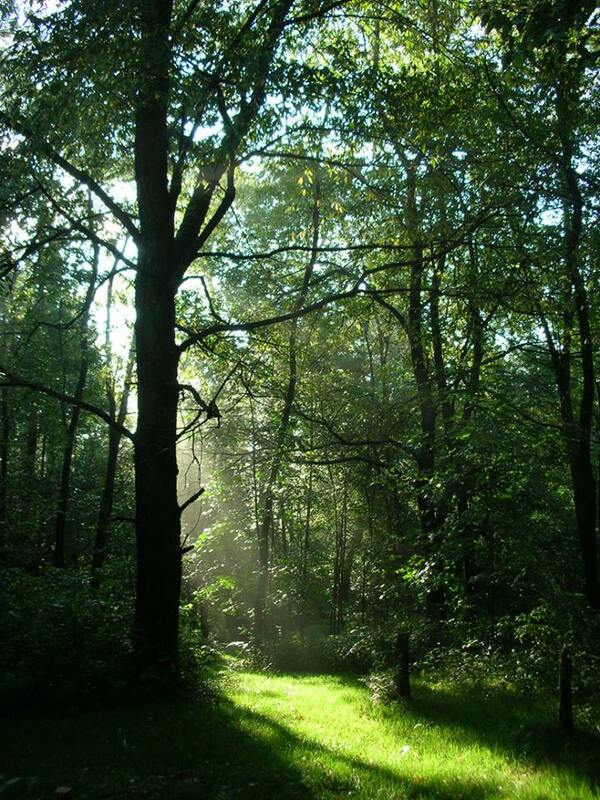 When I, as a druid, walk into the forest, I am often aware that I am reconnecting with lands that have not been thought of, or engaged with, as sacred for a very long time. What a gift it is to the land, to really see it. To interact with it. To hold it sacred. To be willing to learn and grow with it–in it–through it. To walk and see the buds on the trees, to see the medicine growing up out of the cracks of the sidewalks. I’m not just talking about the wild places here, but all places. You can sense the sacredness of the soil, even below the buildings that sit on it. You realize that there is no unsacred space, that all spaces and places, regardless of their damage, are still part of this great living earth–as you, too, are a natural part of it. For many druids, interacting with the land in a sacred way is one of your gifts to the world–and it is an incredibly powerful gift that takes a lifetime of exploration to truly understand and realize. The act of opening yourself up to these experiences are, for many, the first steps down the druid path. As one of the Archdruids in AODA, I spend a lot of time talking with new druids on the path and mentoring druids who are just starting their journey and studies. I read letters that they write that tell us about why they want to become druids, what they hope to gain from druidry. 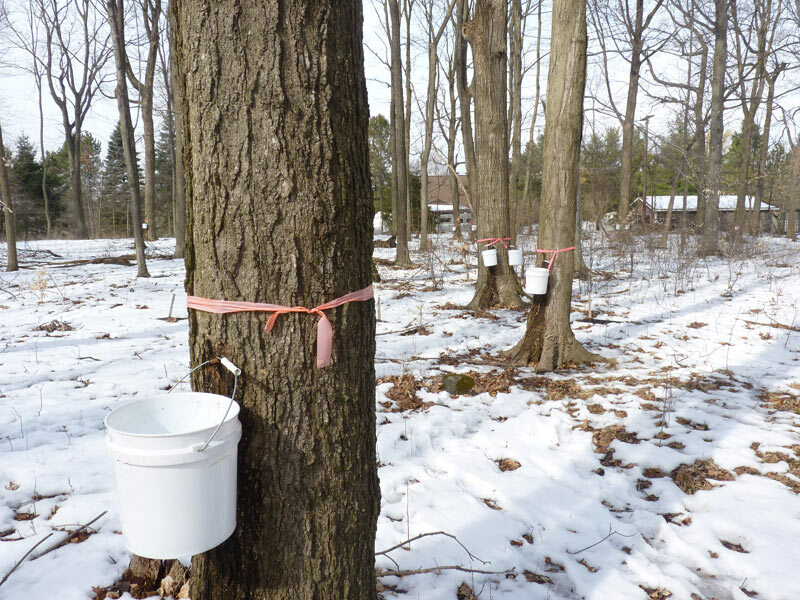 So many times, it seems that rebuilding that connection to nature is one of the key reasons that they join. To many people, when they first find druidry, are excited. They often say, “This is the path that describes me, as I already am!” This gives them a word that finally fits their self-image, the person that they are becoming with each passing breath and each cycle of the sun and moon. 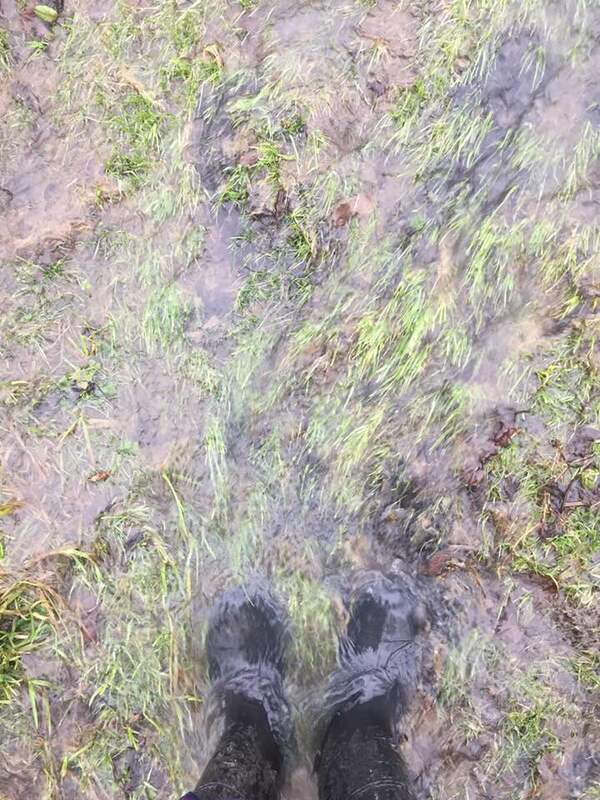 And every one of those letters, without fail, talks about reconnecting to the natural world! Another tragic part of the myth of progress, asks us to give our power, especially our creative gifts, up and to let others provide us entertainment. It saps our creative energy, and we are disempowered as creative thinkers and doers in the world. 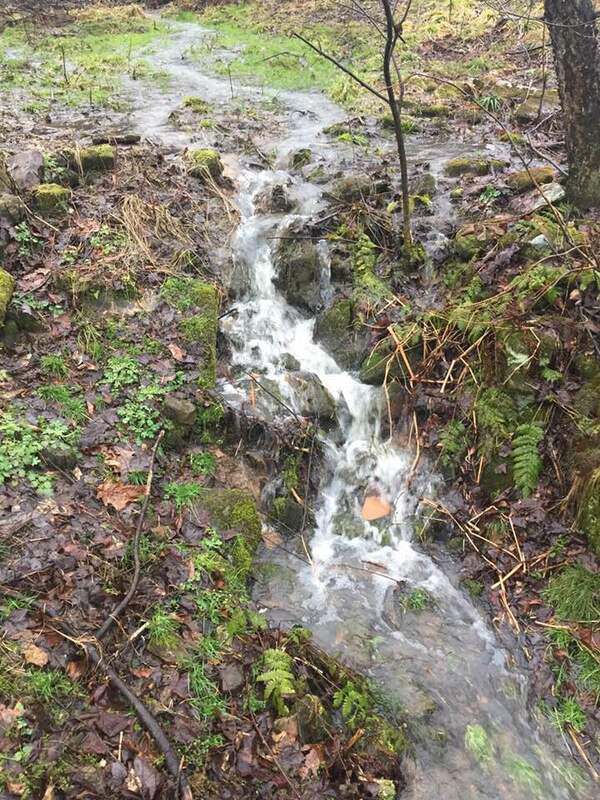 Therefore, a second major gift of druidry, I believe, is regaining that creative force, the flow of awen, and using it for good in our own lives and in the lives of others in the world. Even the act of meditation alone allows us to “clear” our minds; the AODA’s sphere of protection or OBOD’s light body exercises allow for the Awen to flow within us again. And we desperately need these creative responses here and now–through music, poetry, artwork, dance, painting, crafts, the written word–to help us make sense of, process, and respond to what is going on. The creative arts help us make sense of the world and what is happening and can reach people meaningfully and deeply in ways that we otherwise could not. 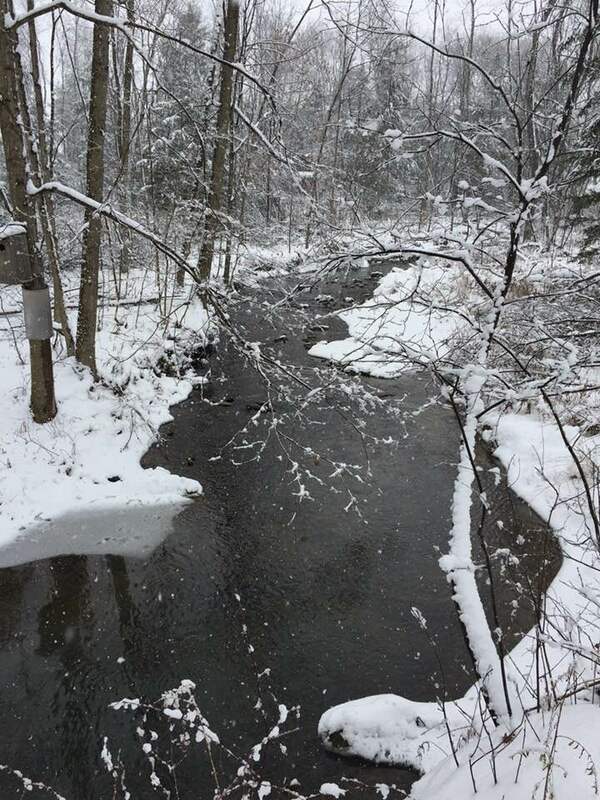 At least in my own experience, my path in the bardic arts helps give a voice to those who cannot speak for themselves and to cultivate reconnection through my writings on this blog, my artwork, my teaching, and more. The world is changing quickly around us, and for many, darkness appears to be settling in. Things are growing more frenzied, more desperate, more terrifying. The true tolls of incessant pillaging of the planet are now so visible and known, and will continue unfold in the years and generations to come. Just a few weeks ago, we passed the 2 degree threshold that so many have said, over the years, that we shouldn’t pass. Those in denial are, well, still in denial, and the temperature keeps rising. But the rest of us must understand and work with our own grief, our own responses. 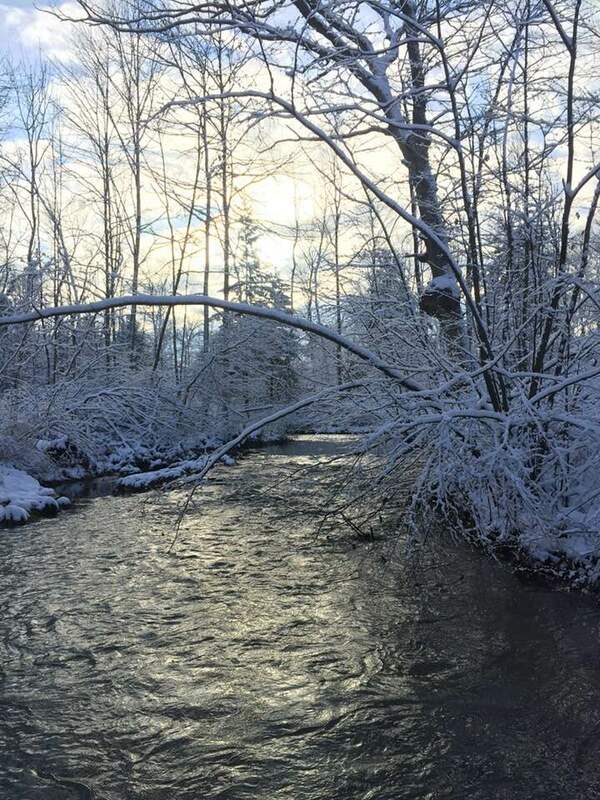 Many come to druidry because they are looking for some path forward through this mess, and Druidry helps them take such a path, a path deeper into the landscape, into their own creative gifts, and through the difficulty that we are all facing. 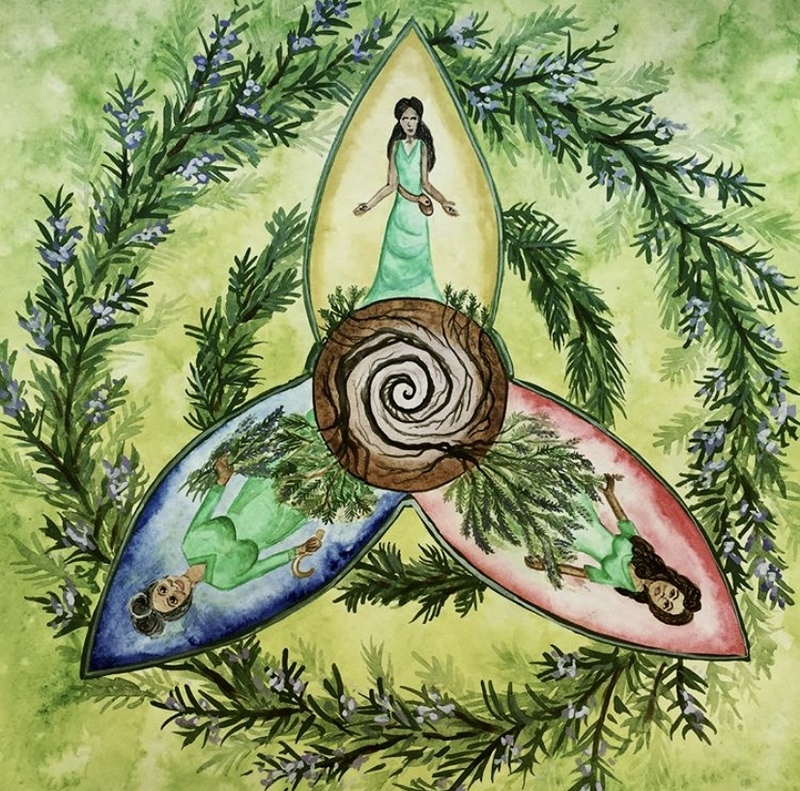 Druidry, perhaps, gives us hope and reconnection–exactly the kind of thing, I believe, we need as we move forward into this unknown and terrifying territory. Many druids find themselves integrating spiritual responses with other kinds of responses–permaculture, for example, is a fantastic “get your hands dirty” compliment to this path (and certainly, its a big part of my own druid practice). 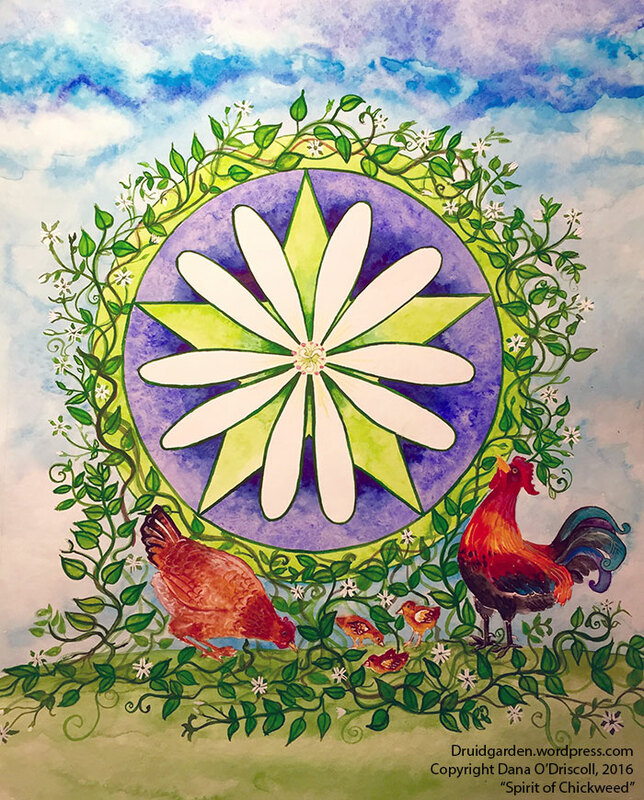 A gift to the land through the cultivation of a sacred relationship, awareness, and active healing work, but also through recognizing, confronting, and doing something about the predicament we face as a planet. A gift to its people through the cultivation of the creative human arts, to give the land voice in the world through music, story, song, artwork, dance and more. 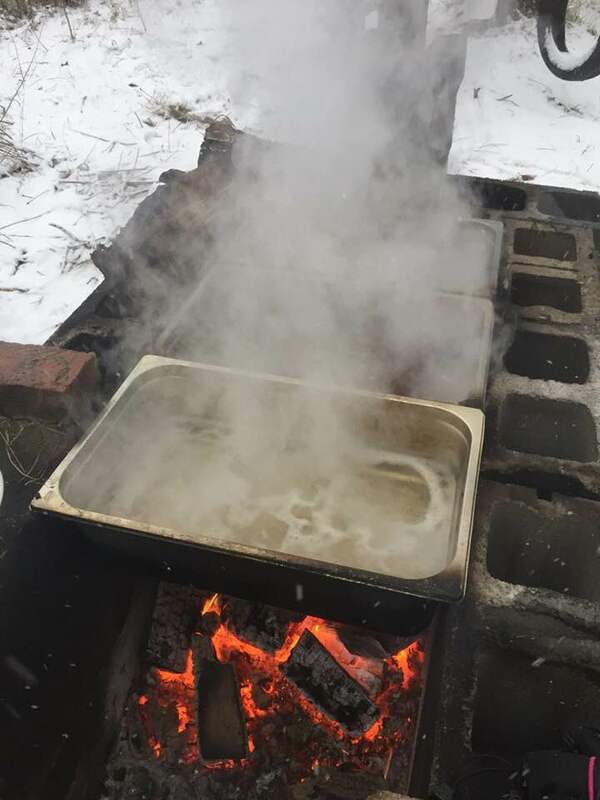 A gift to ourselves and to the nurturing of our souls, to give us tools, and outlets of response and the freedom to engage in bardic arts that reconnect humans and their landscape. 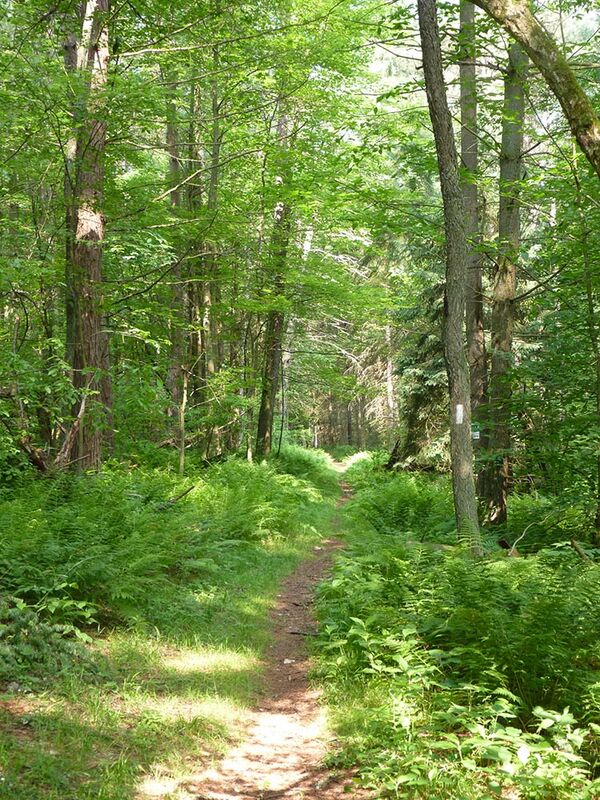 Finding the druid path is a gift, a blessing, and the ramifications of it go well beyond just ourselves. Often, for the first few years down this path, you are absorbing, like a sponge, all that you can–and things are very inward focused. You have a lot of healing work to do on your own inner landscape, and that’s critical work to do, work that will take a lifetime. But at some point, that sponge becomes full, and you are now ready to reverse the process, and give those gifts back to thee world. Druidry is a gift to the world, if we make it so. And on this sacred day, when so many things hang in the balance, it helps us re-balance our own lives, hearts, and souls.